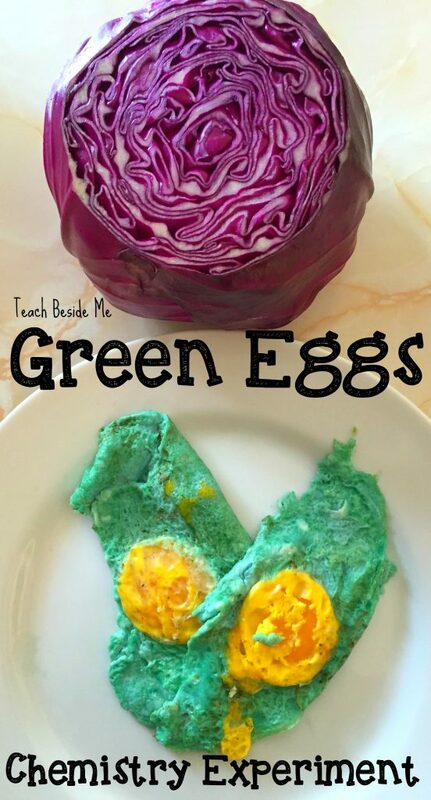 Green Eggs and Ham are always a fun thing to make in March in honor of Dr. Seuss and his book Green Eggs and Ham. 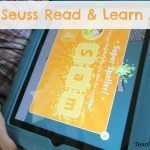 We took a different spin on this and did a green eggs chemistry experiment. 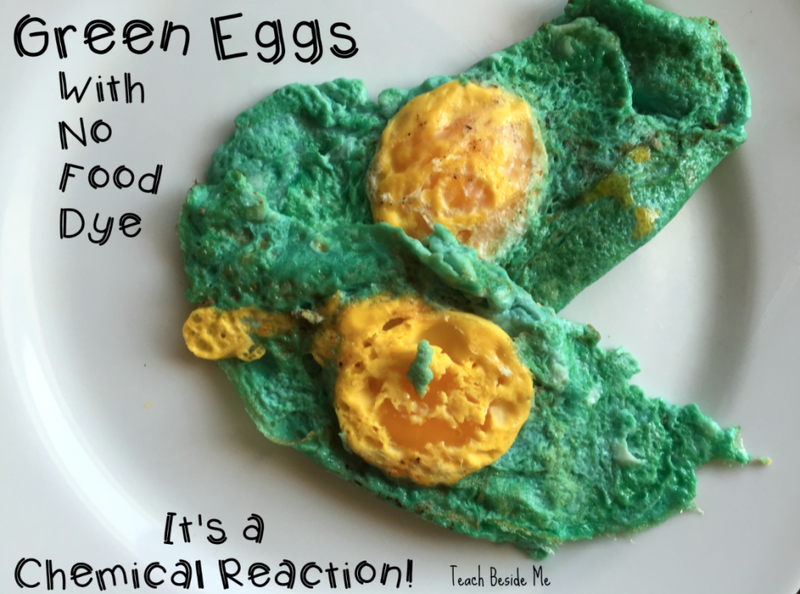 This experiment makes vibrant green eggs that are safe to eat and have no artificial dyes whatsoever!! 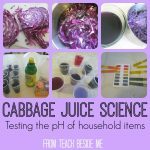 You may have seen the chemistry experiment with red cabbage that we have done in the past. 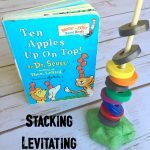 It is a really fun experiment! This is similar to that one. 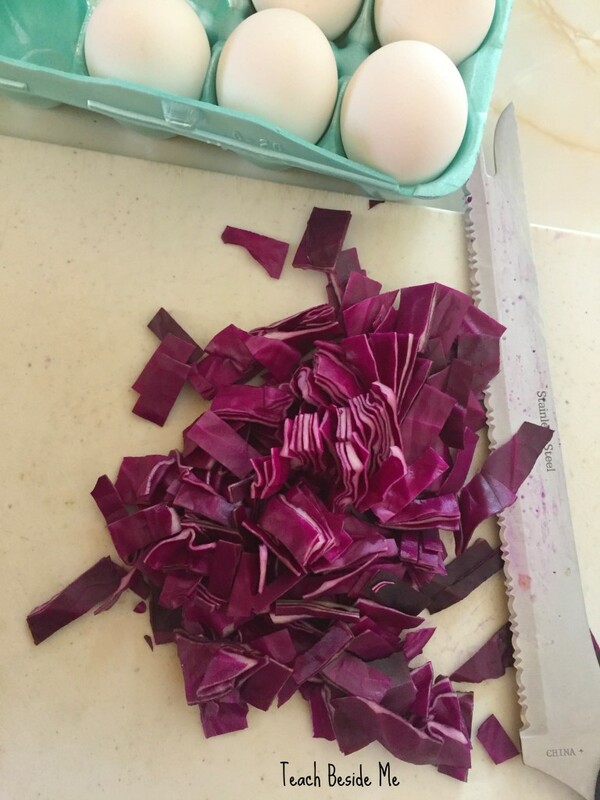 You begin with some shredded red cabbage and eggs. 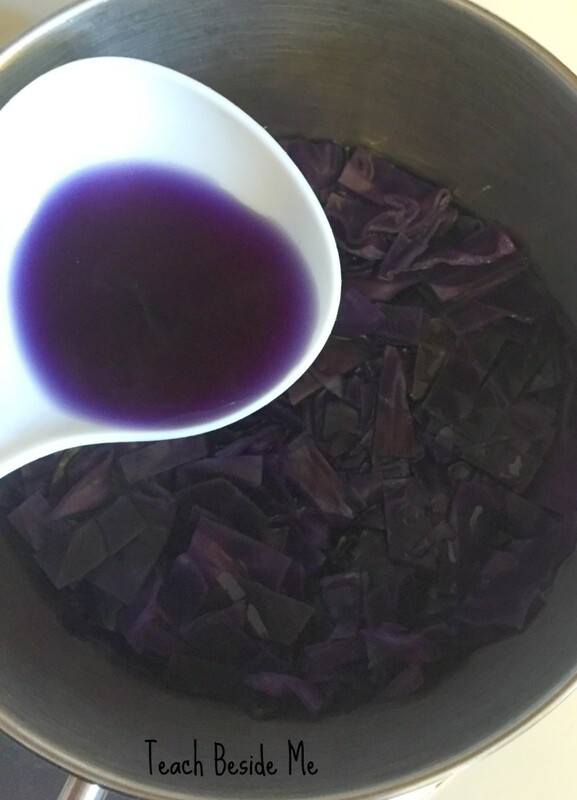 Put the cabbage into a pot with a little water and boil it until the water turns a deep purple~ about 5-10 minutes. Next, separate the eggs you are cooking. We made 2 eggs. Put the whites into a bowl and whisk together with some of the liquid from the cooked cabbage. You just need a small amount, a tablespoon or two. 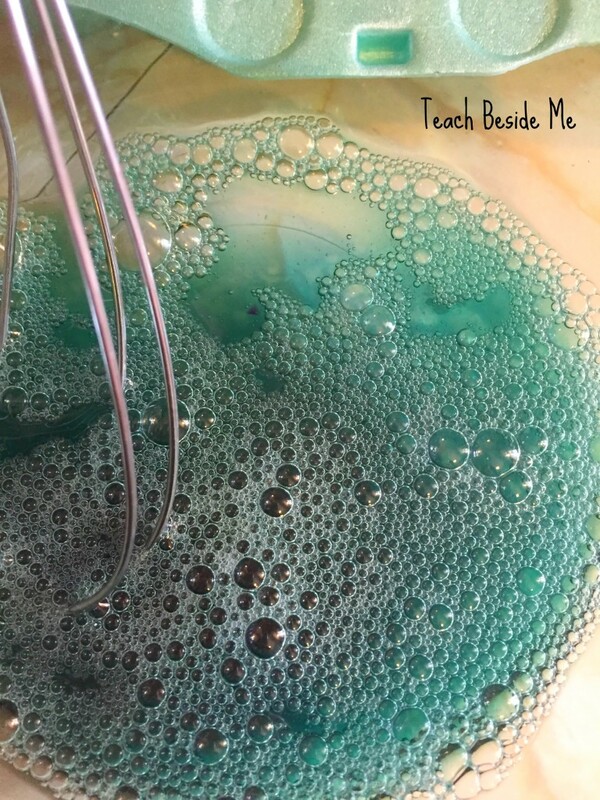 The egg whites are a base and react with the cabbage juice and turn green! Pour the eggs whites into the pan and then place the yolks on top to cook. 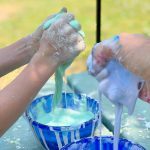 I was so surprised the first time that I made a natural green dye. I would not have expected that color from that vegetable. So fun – putting cabbage on my shopping list. Totally pinning and wishing you the best. Totally wild! And totally fun. 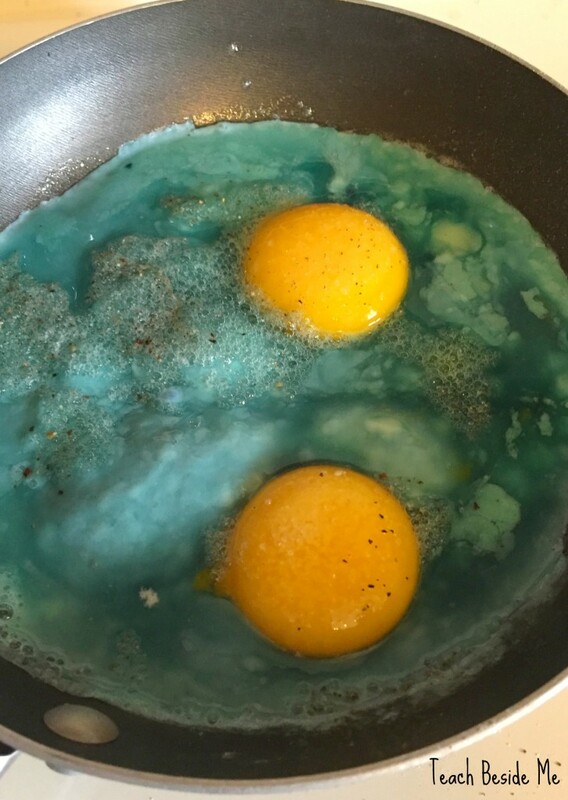 Will the same reaction occur with hard boiled egg whites? 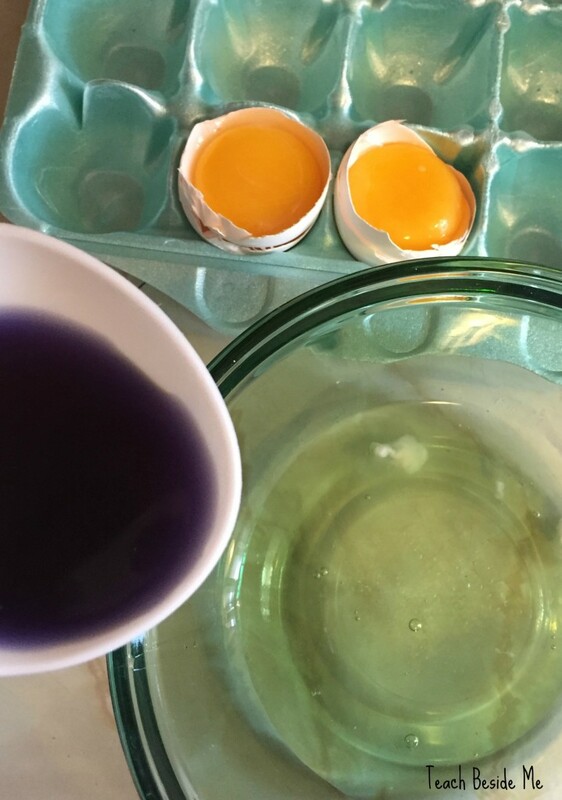 I suspect not since its the albumin that reacts to the cabbage under heat Do you have a natural egg dye for coloring the hard boiled whites?